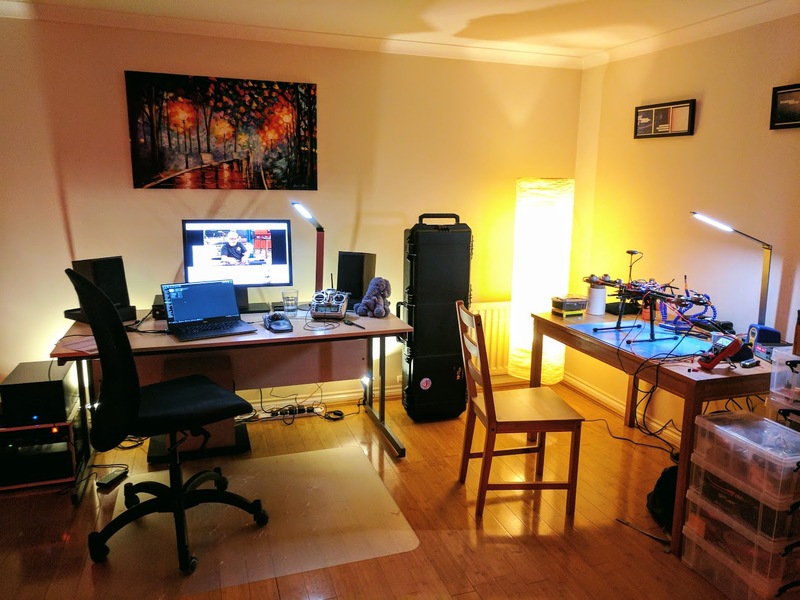 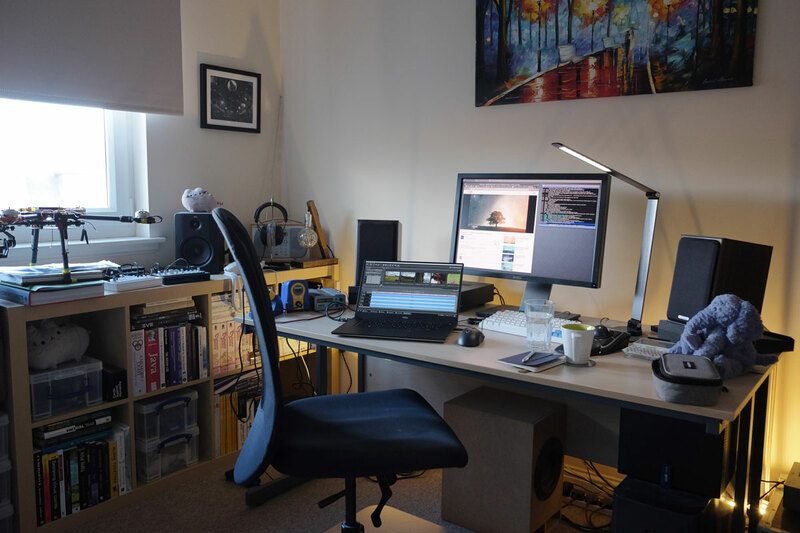 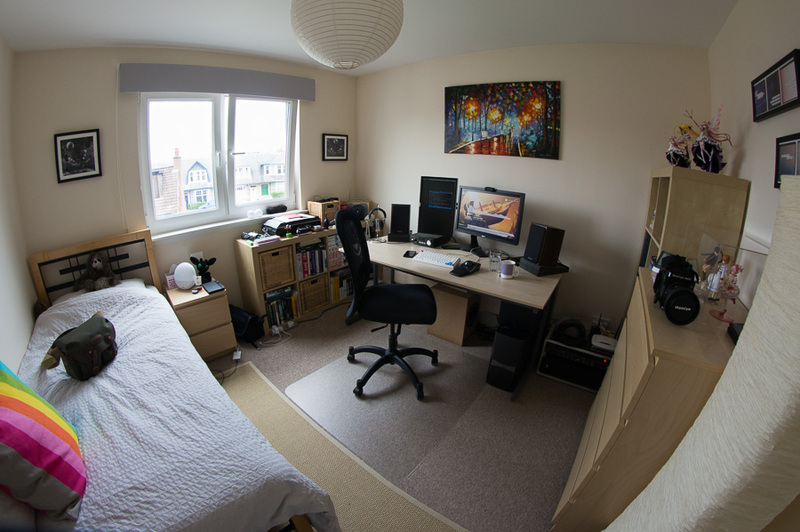 I’m going to be moving (yet again) fairly soon & as my current place is probably the nicest I’ve had in St Andrews it’s getting its own post (as well as an entry into the Setup timeline post). 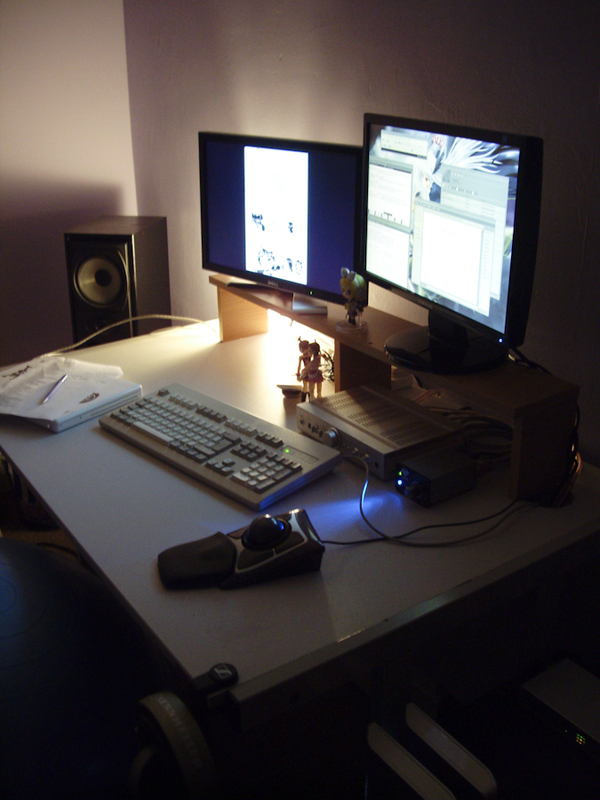 Desk as always is the most important part. 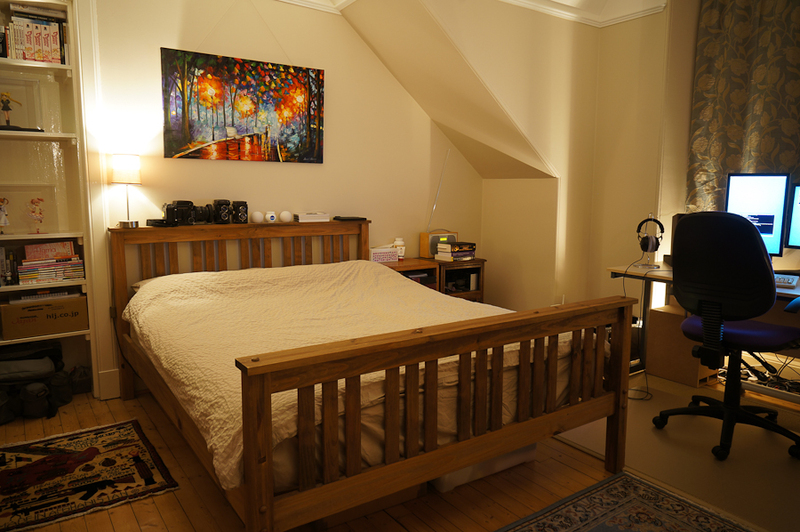 Bought an oil painting (a copy purportedly done by Leonid Afremov himself) that hangs over the bed. 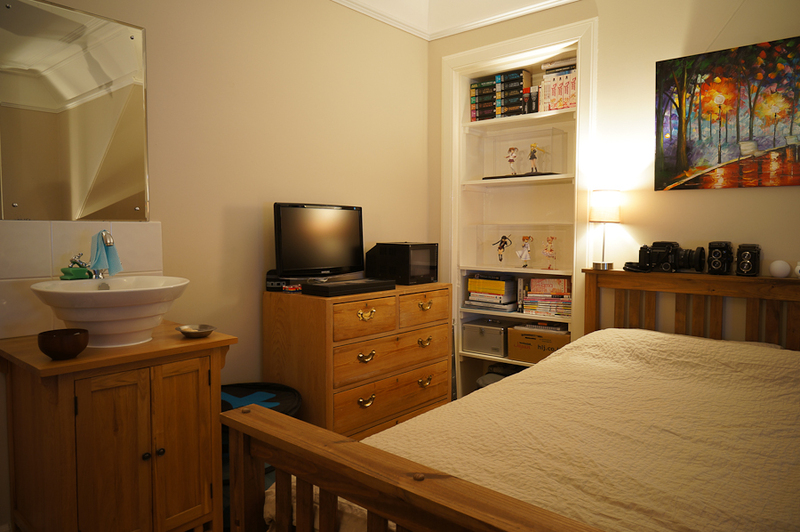 I have a washbasin, which I guess is nice even if some people are slightly bemused by it being there. 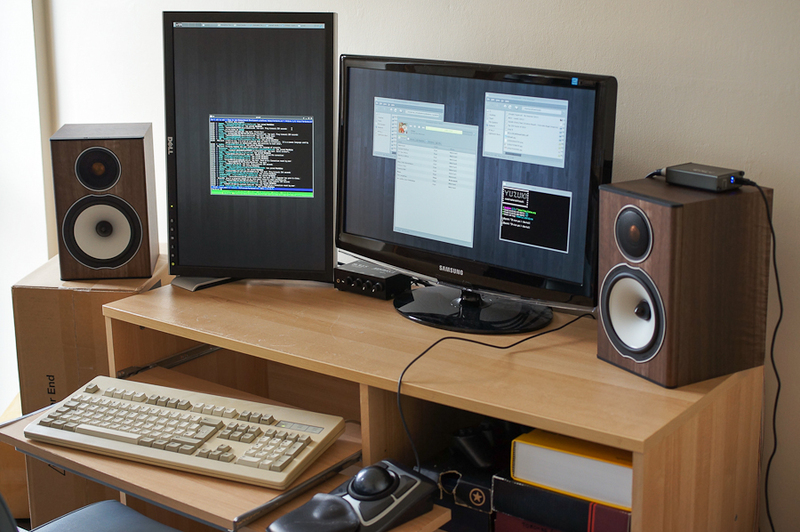 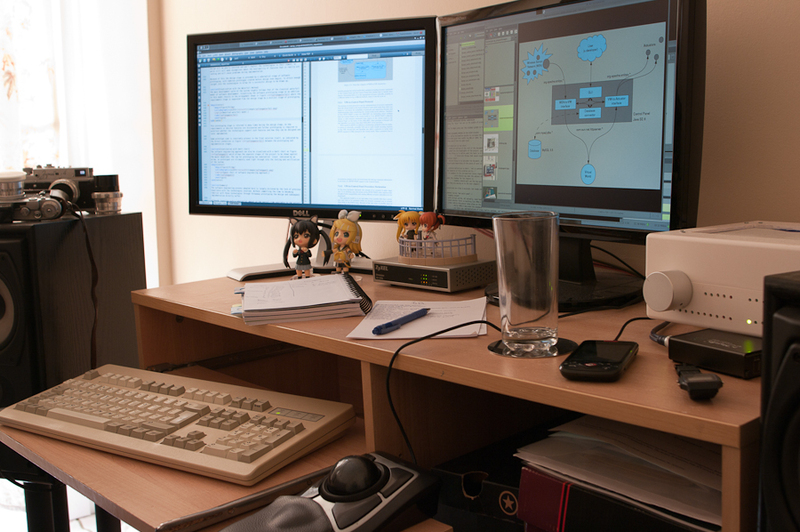 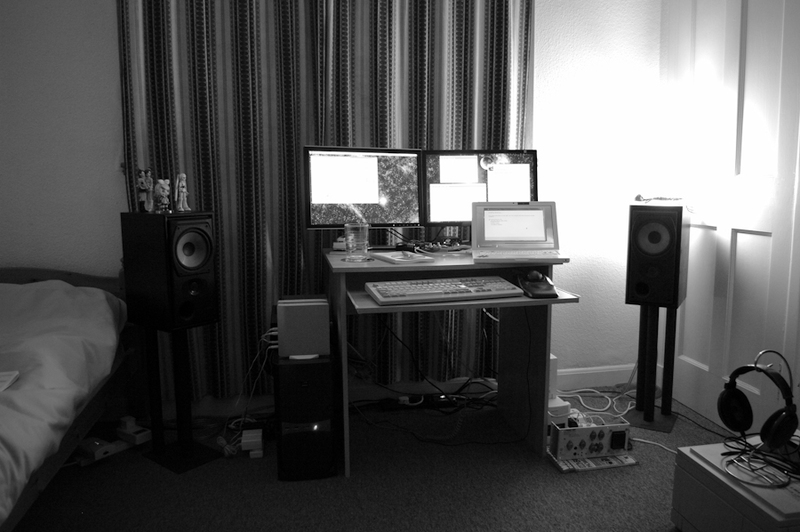 Monitors on top of the drawers are just spares. 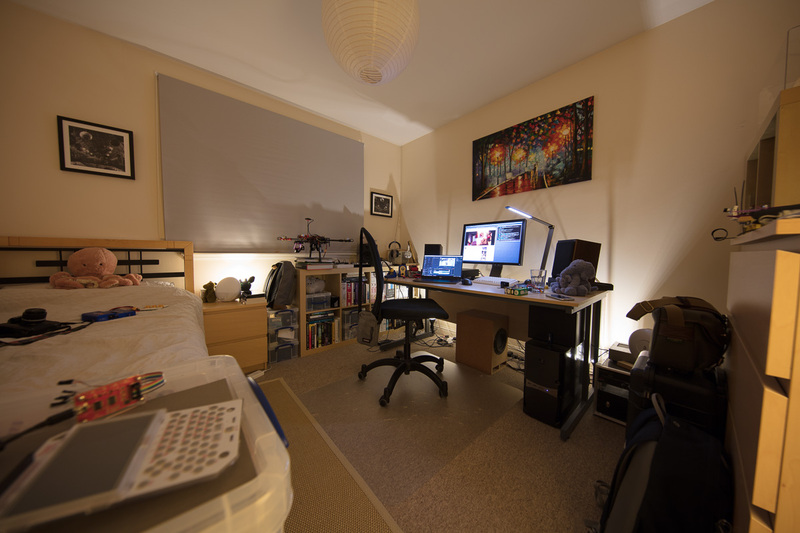 Frederick the bat hanging from the light. 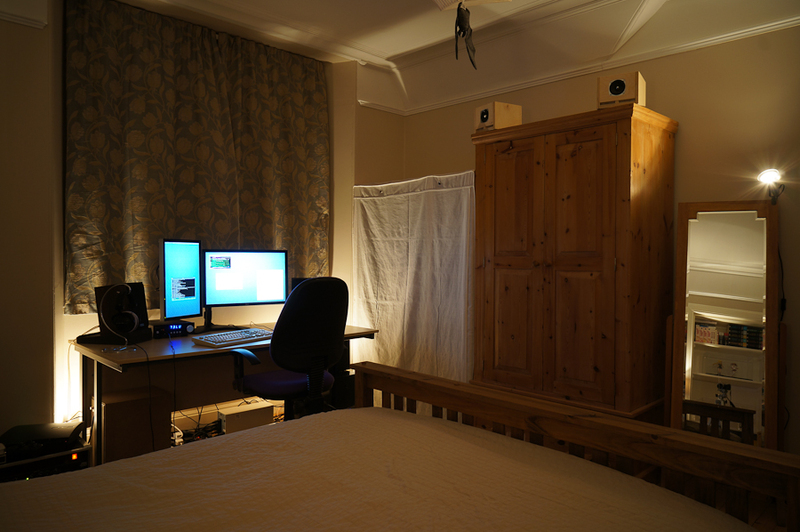 Speakers on top of the wardrobe aren’t connected to anything, they just sit there as conversation pieces as I don’t really have a use for them atm. 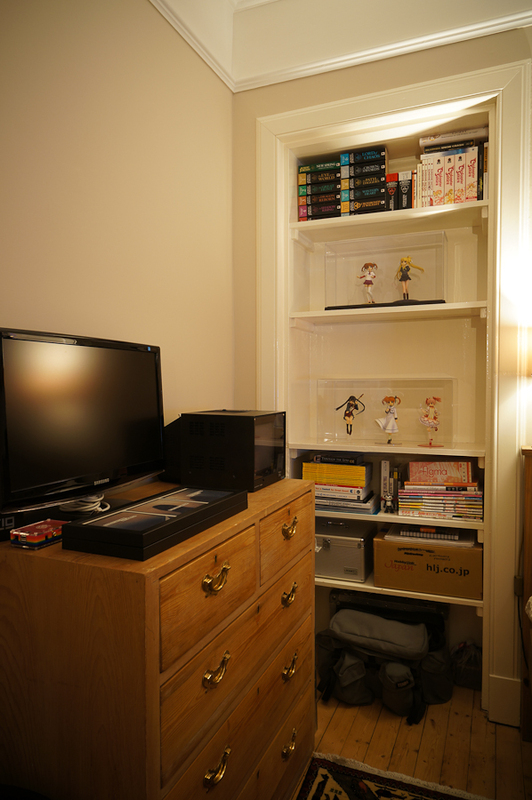 A few figures on display in cases on the shelves, but many more packed away in boxes. 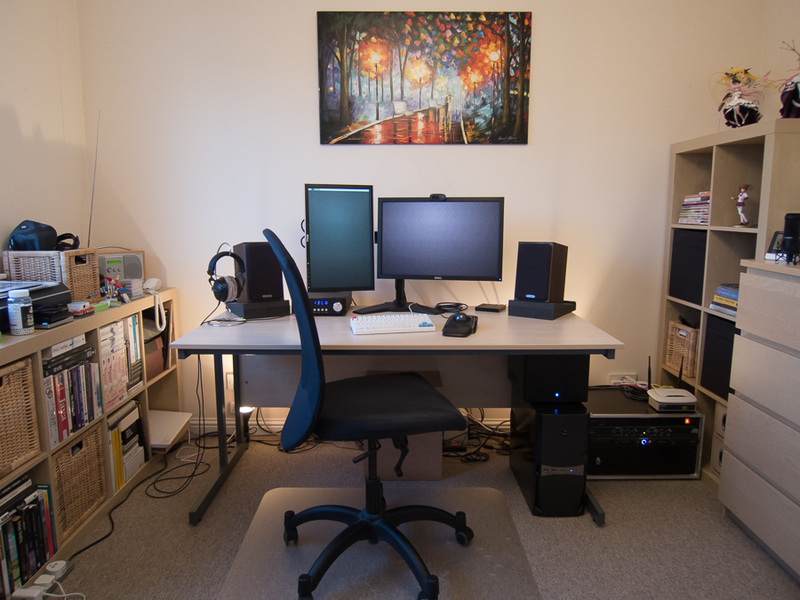 Two prints from a softer world which I framed but never hung as they’re too small to look right on the wall. 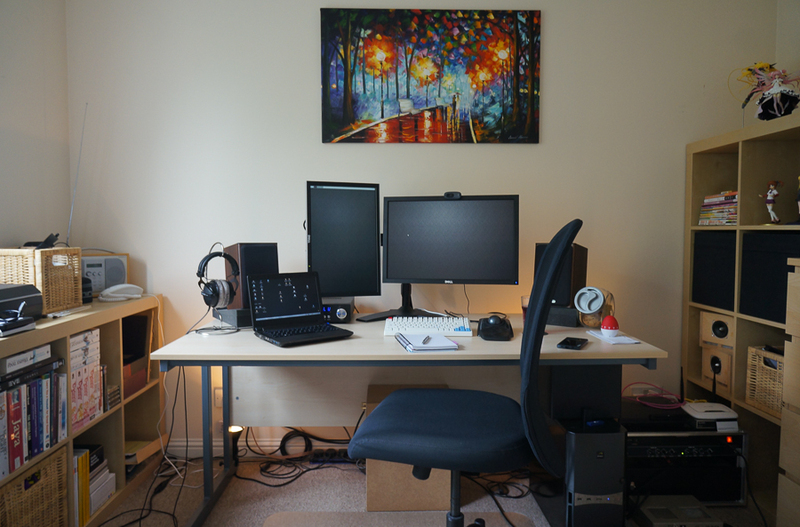 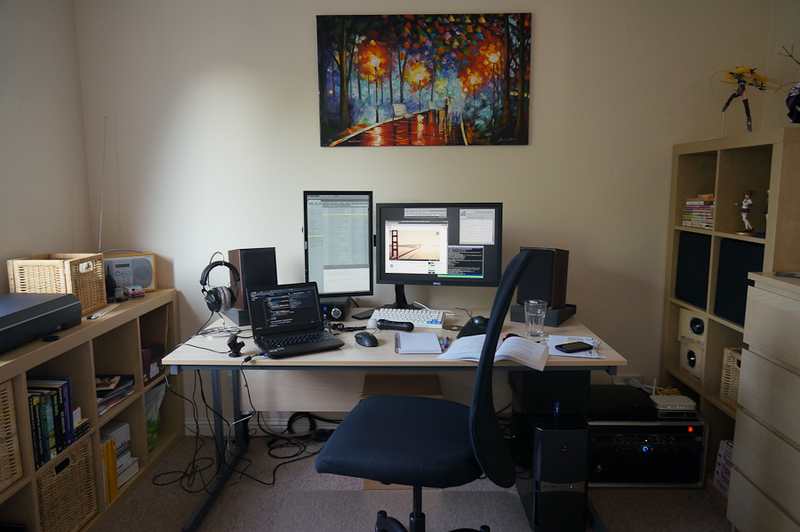 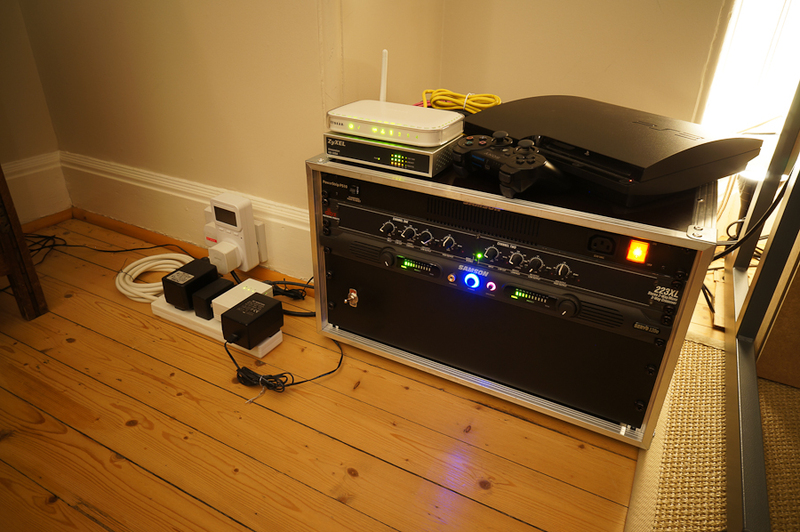 Audio gear, network kit & PS3 live on the floor next to the desk. 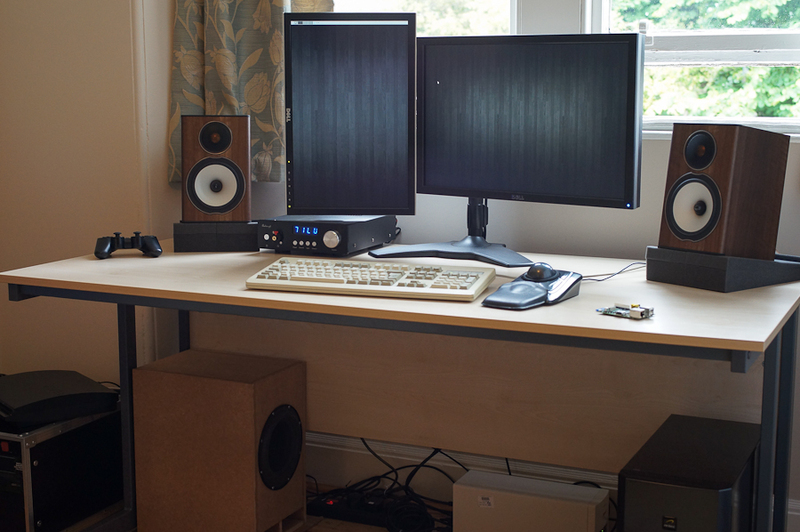 Still mean to replace the dbx 223xl with something that has less hiss/noise but choices are limited – I bought a BSS FDS-366 but that was as bad or worse! 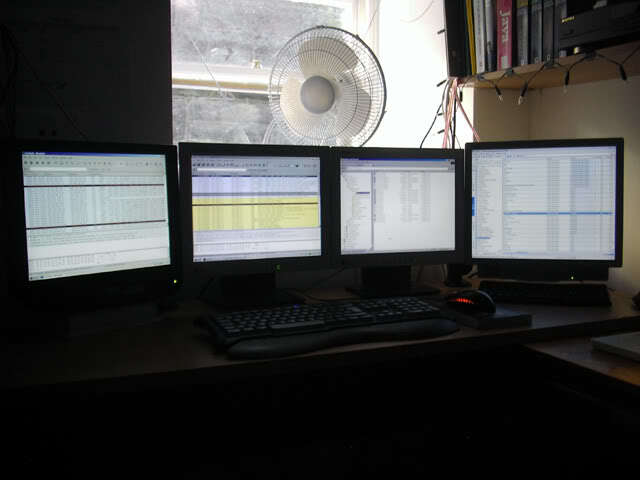 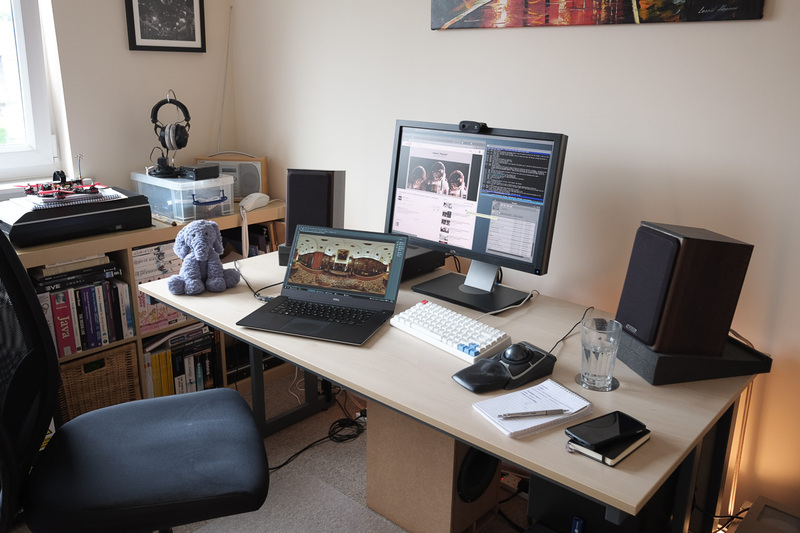 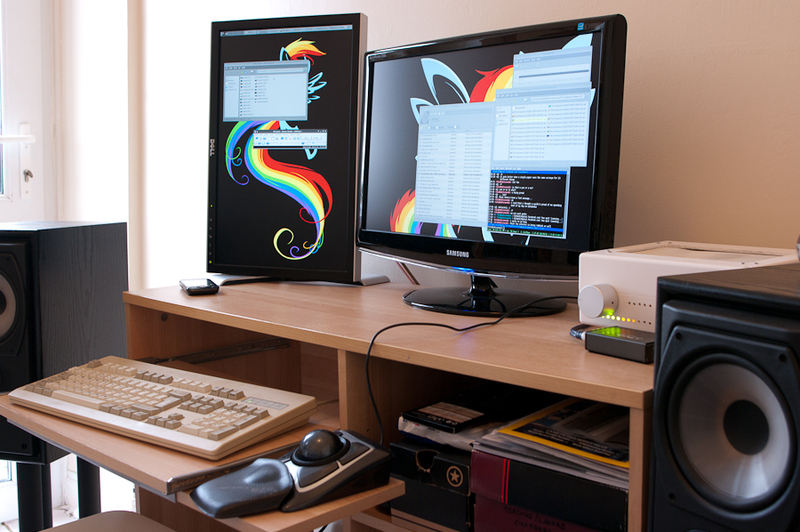 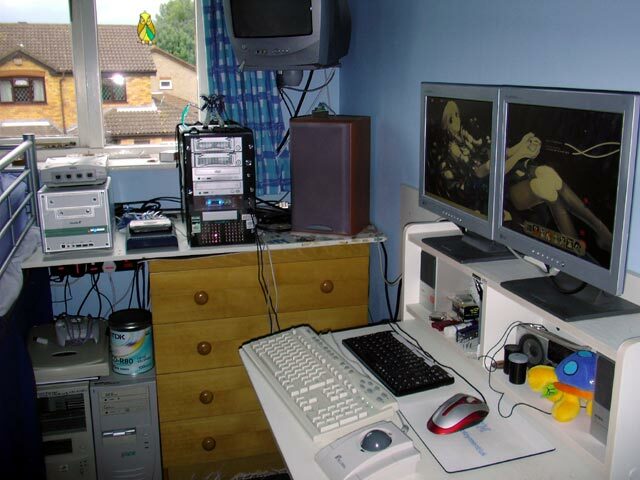 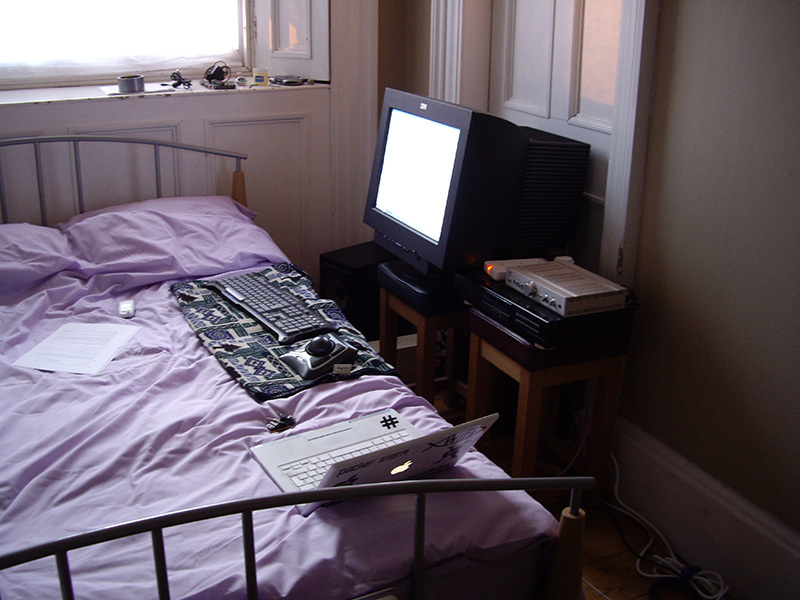 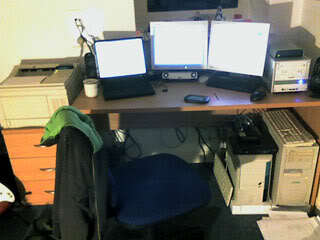 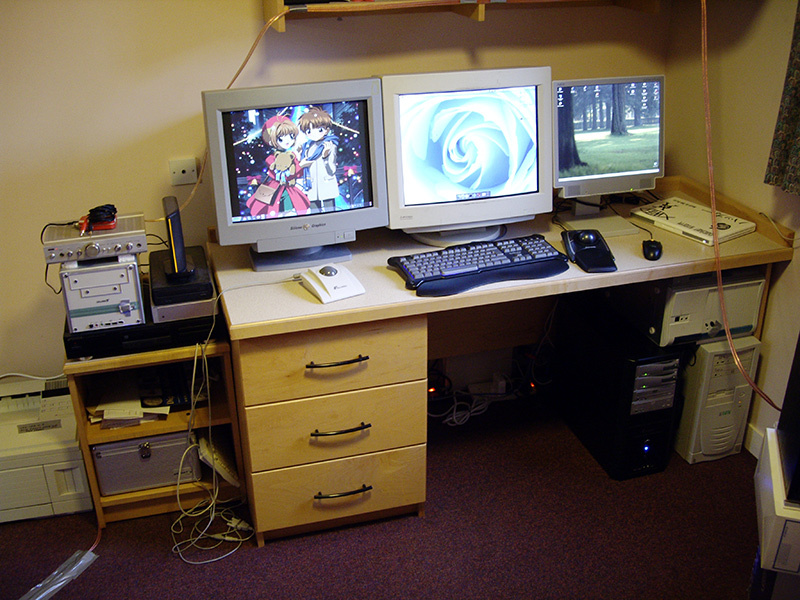 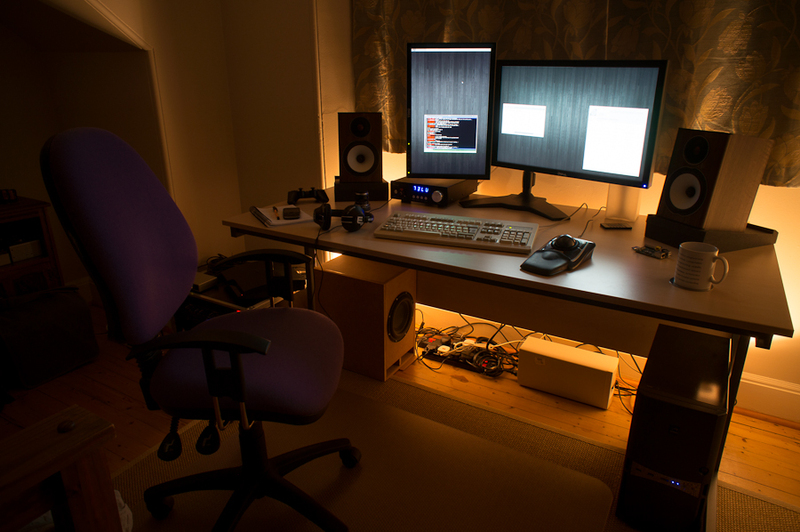 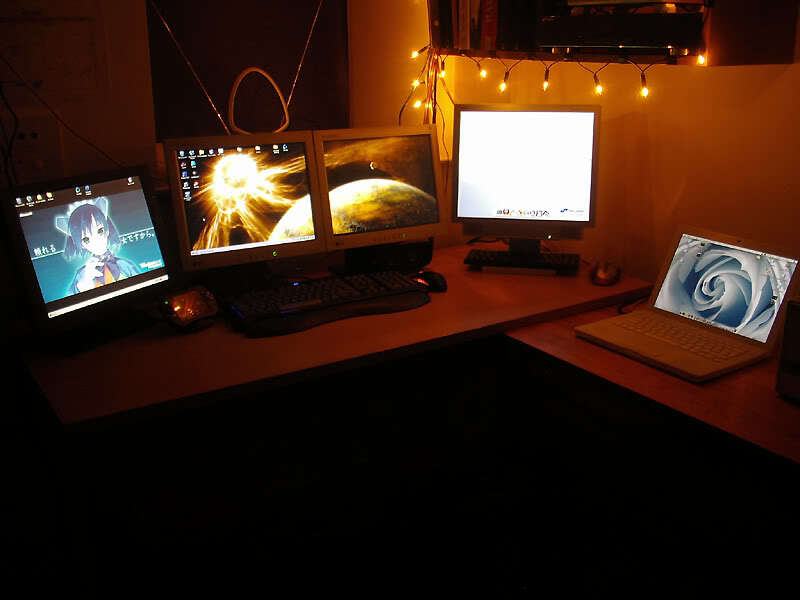 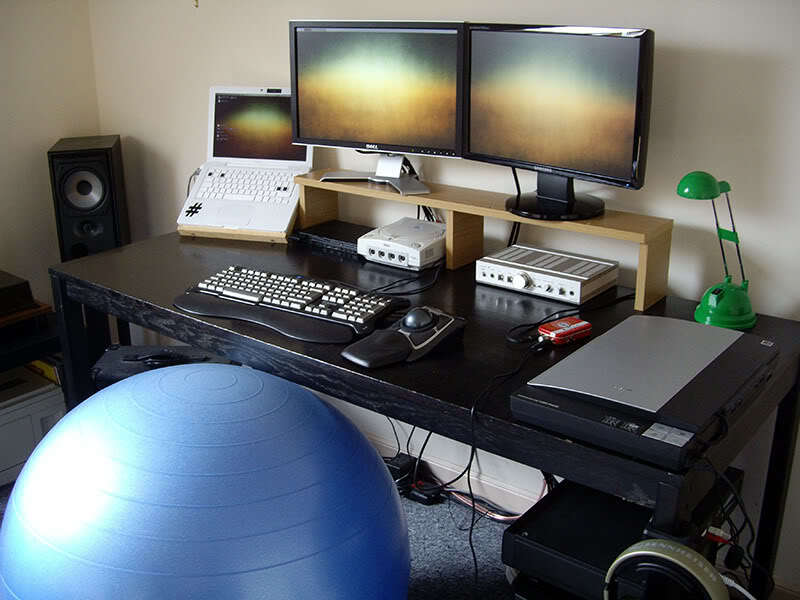 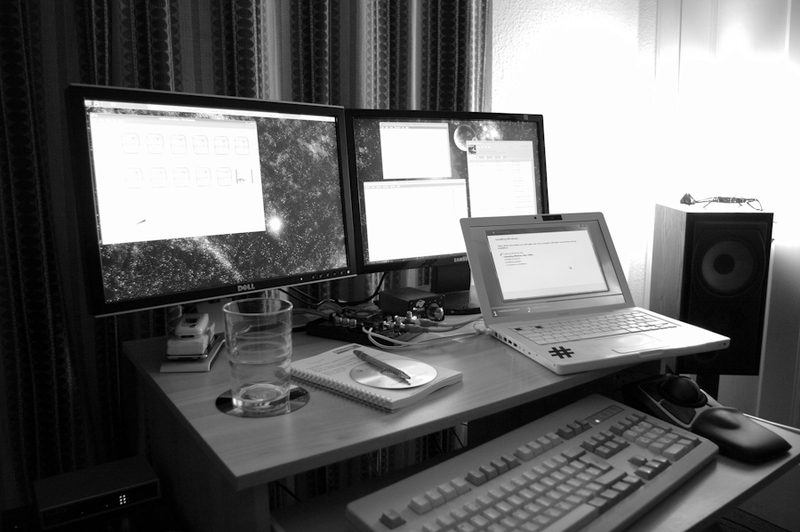 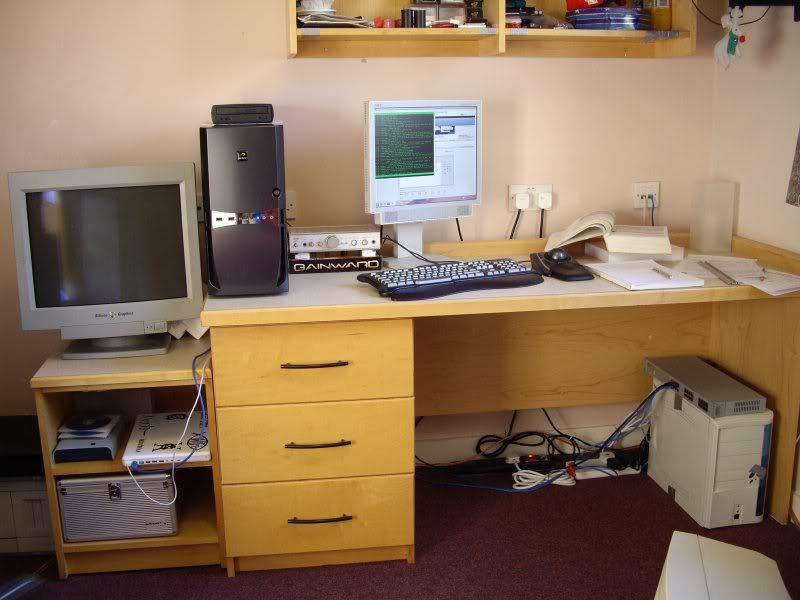 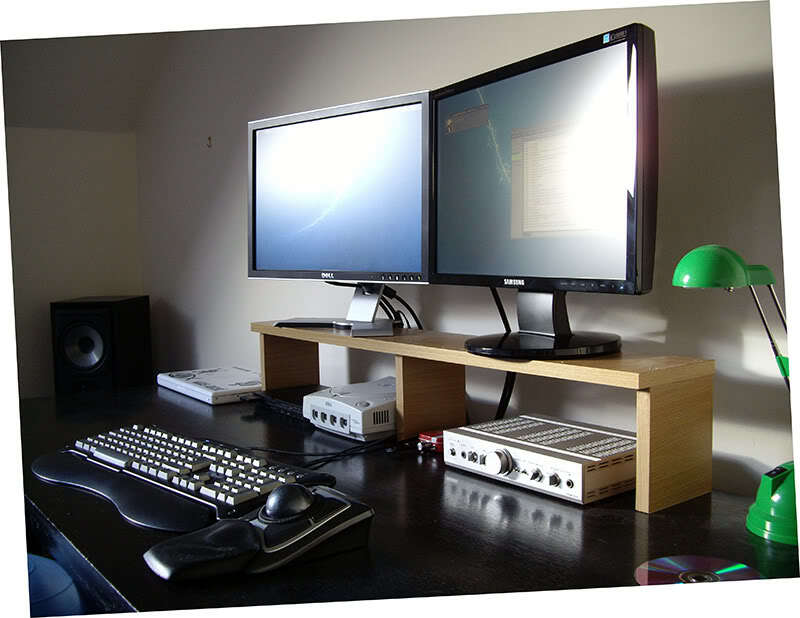 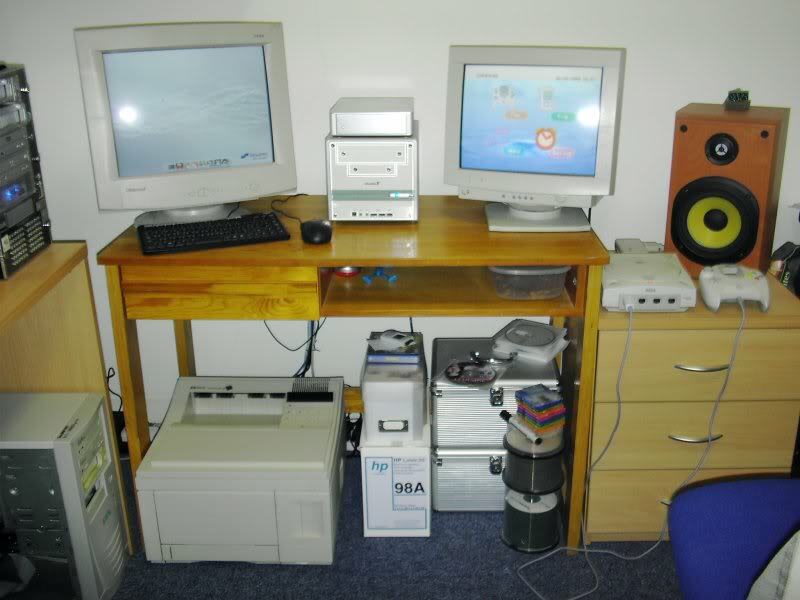 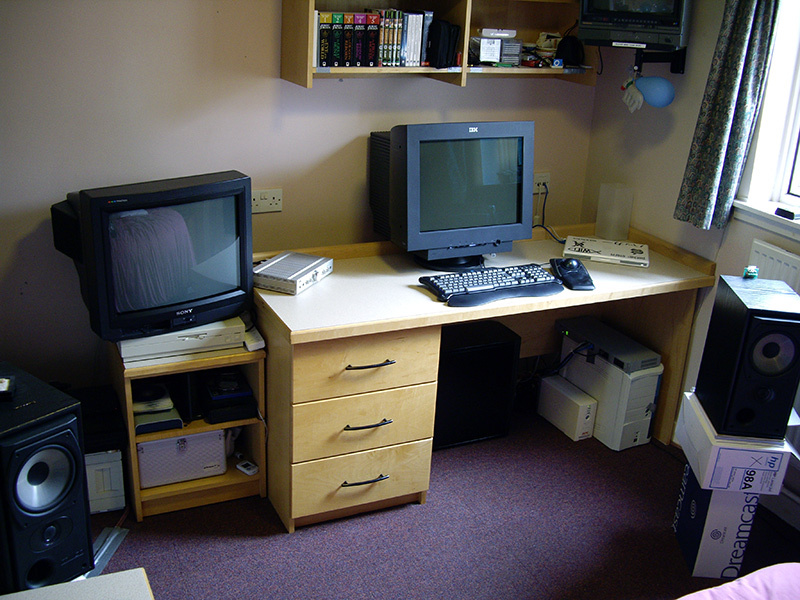 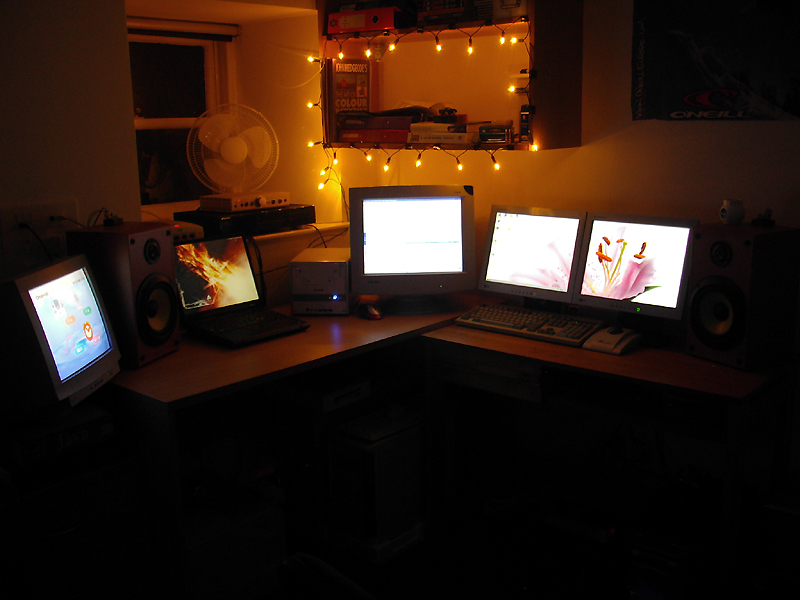 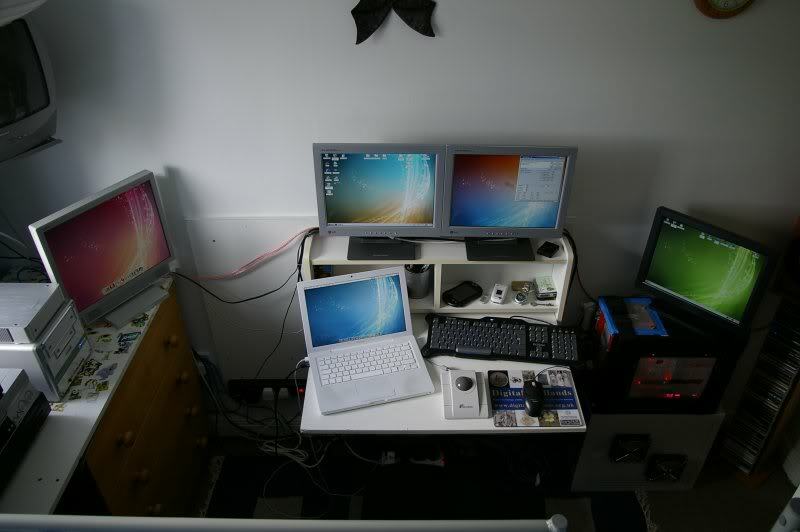 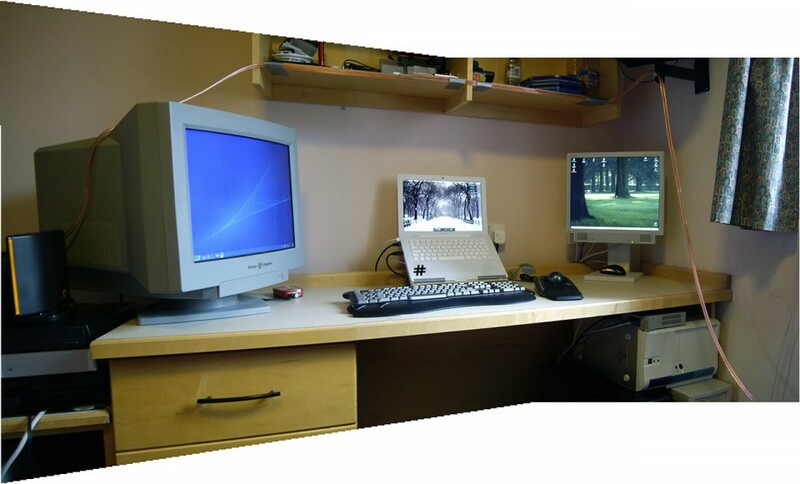 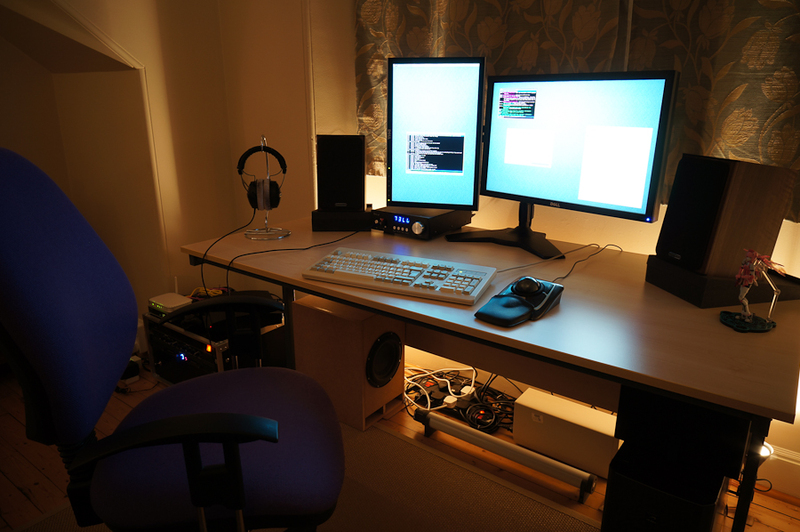 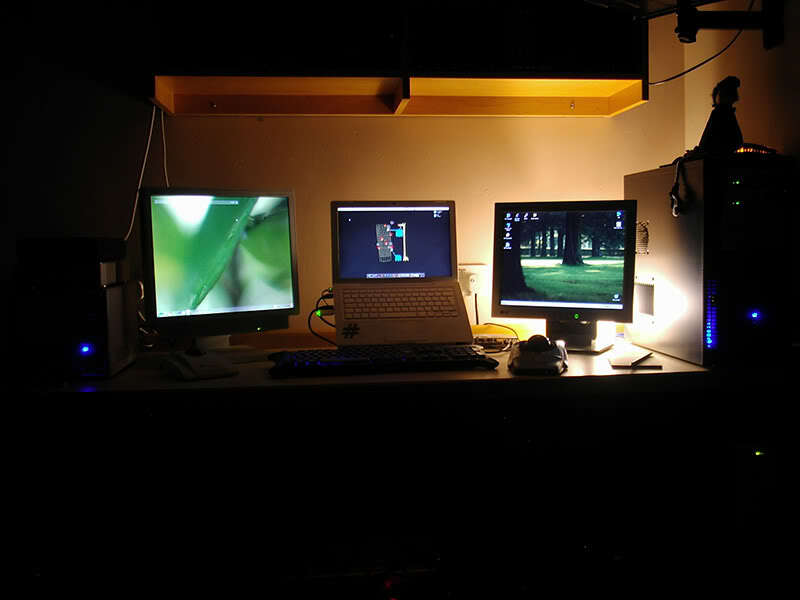 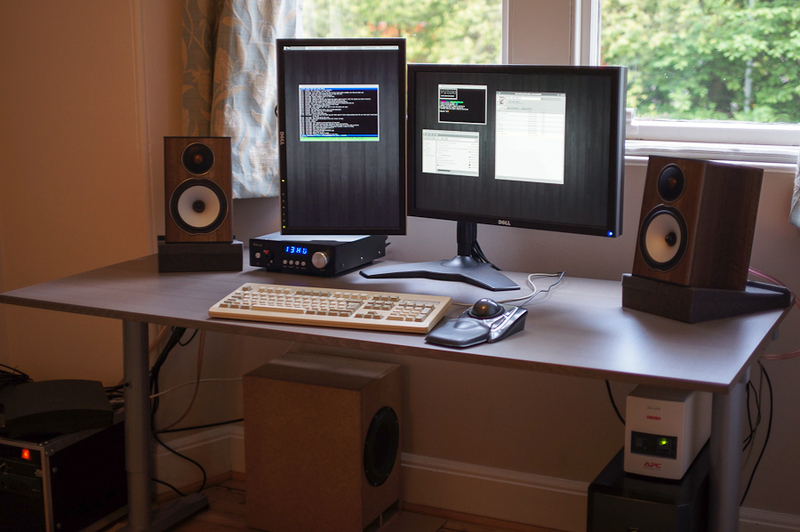 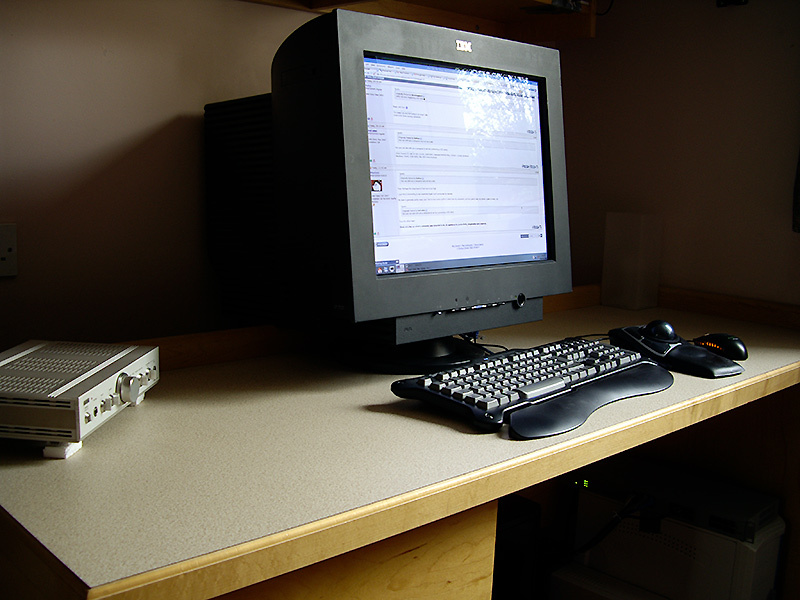 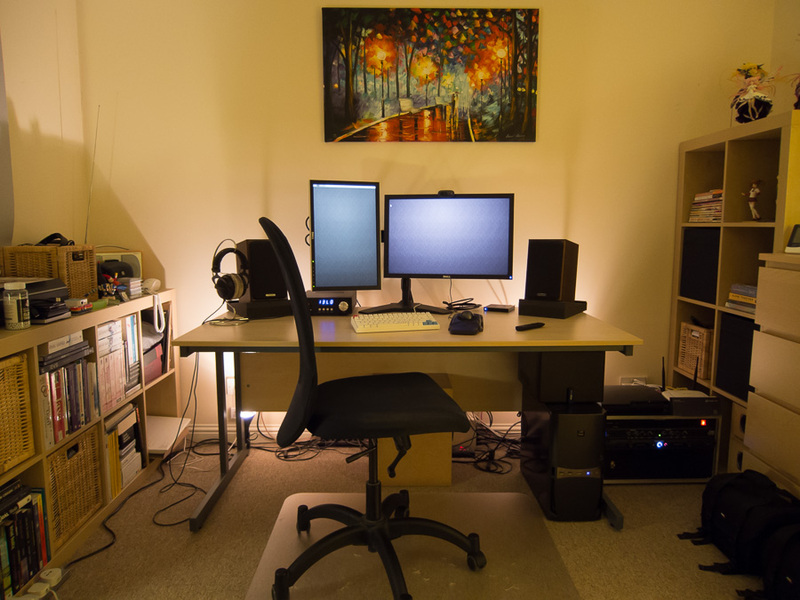 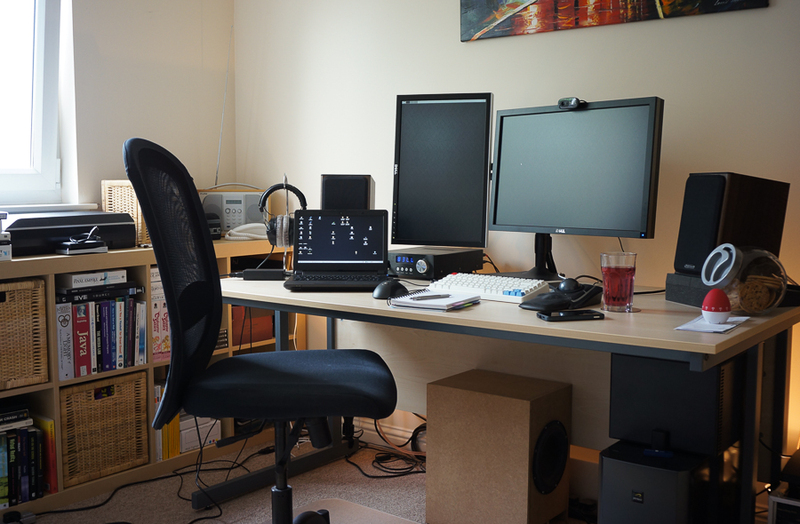 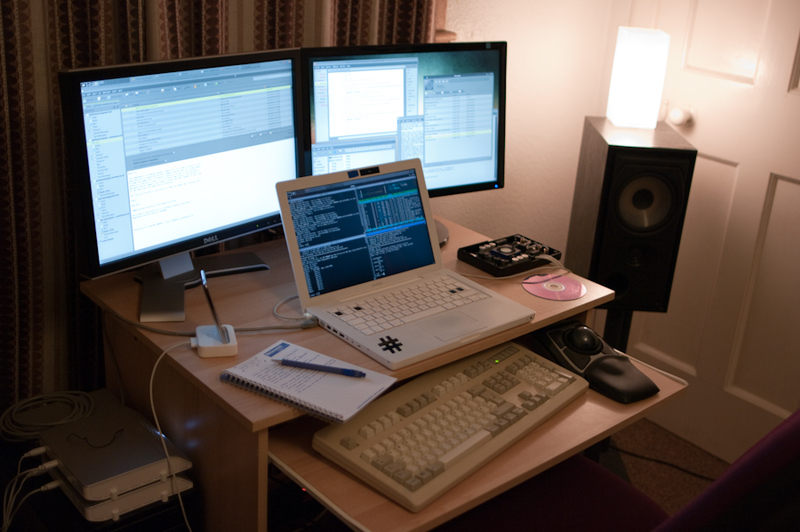 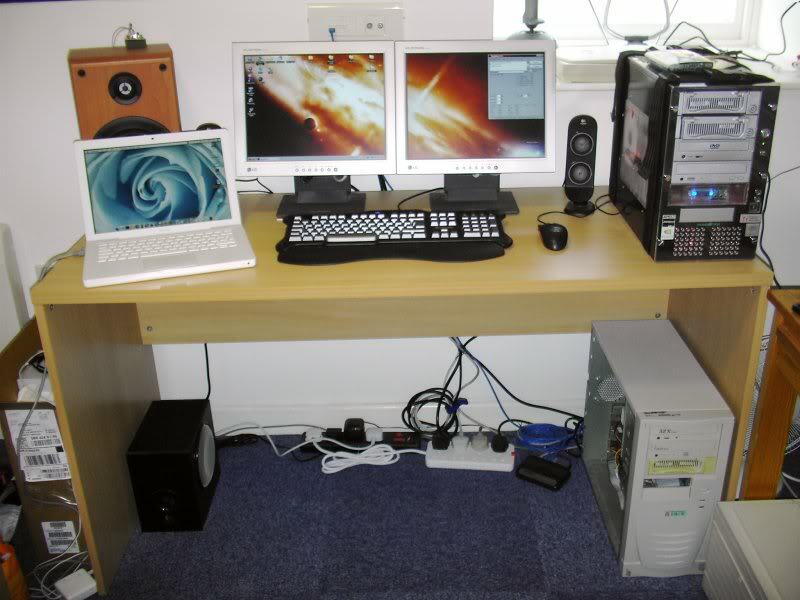 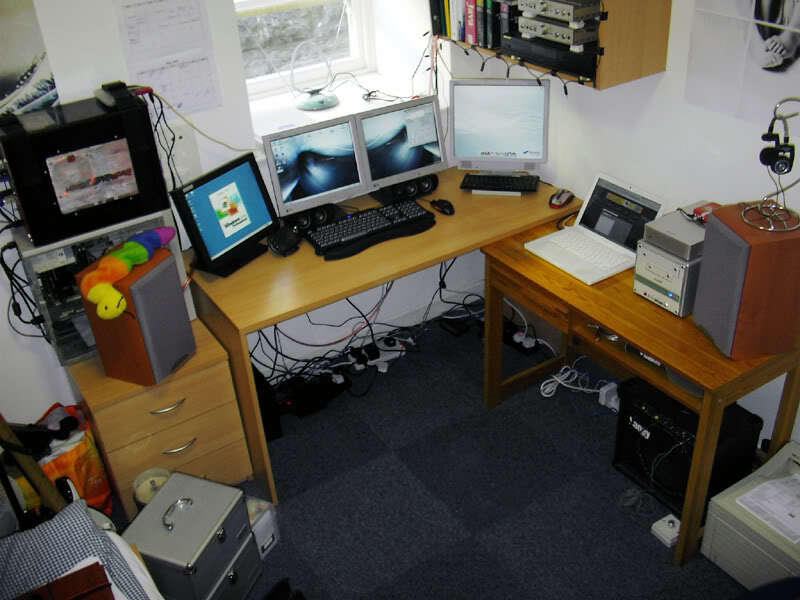 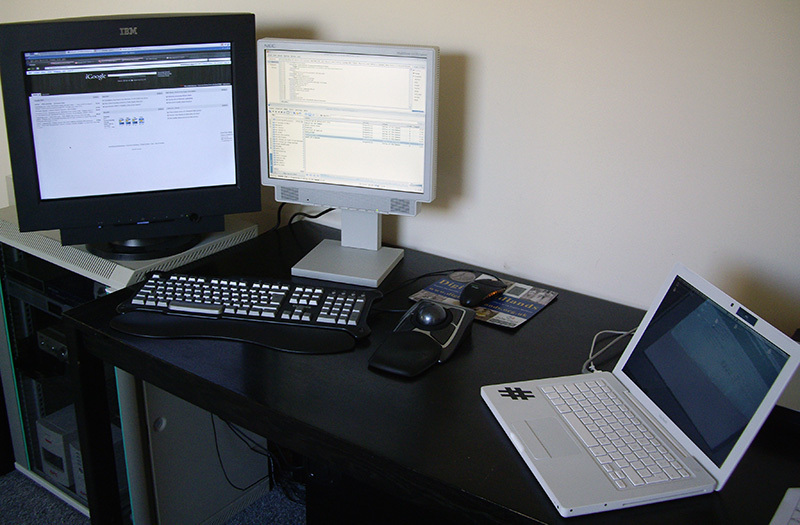 Progression of my home computer setup/workstation/battlestation/whatever, from 2006 at the bottom of the page to the most recent at the top of the page.